Elegant fine jewelry for girls of all ages! 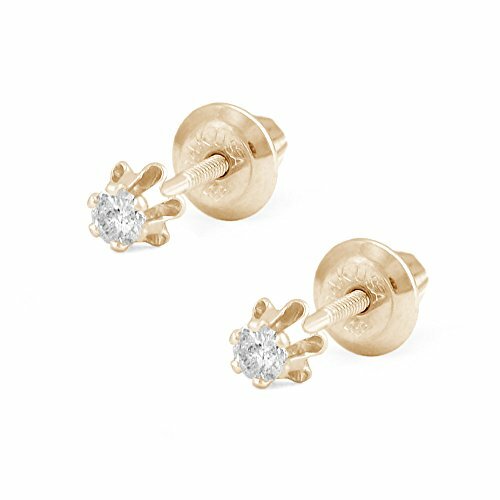 These stud earrings feature two brilliant round diamonds at 0.08 carat total weight. Each diamond is hand selected and hand set on 14k yellow gold flower shape setting for a perfect display. Screw back and short post are smooth and comfortable for everyday wear. A perfect gift for any occasion.